N. Gopalaswami joined us for an off-the-record, private IDFC-U roundtable. Mr. Gopalaswami is a former Chief Election Commissioner of India (2006-2009), and was awarded the Padma Bhushan in 2015. He was previously Union Home Secretary and Secretary General of the National Human Rights Commission. He is a 1966 batch IAS officer, and has held positions including Municipal Commissioner of Surat, Managing Director of Gujarat Communication and Electronics Ltd, Secretary in the Department of Revenue, District Magistrate, and Joint Secretary in the Home Department of the Government of Gujarat. 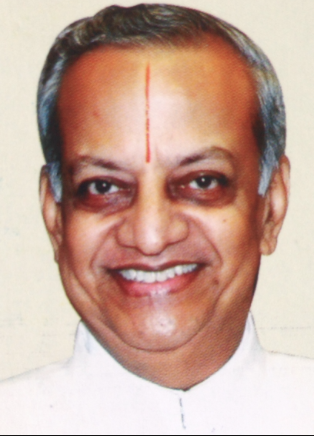 He is currently the President of Vivekananda Educational Society, and Chairman of Kalakshetra Foundation. In a candid free-wheeling conversation, Mr. Gopalaswami reflected on the diverse aspects of India’s electoral process ranging from campaign finance to electoral systems to criminality in politics. He provided an overview on how the CEC must handle the issues of duplicate voters and voter turnout. Mr. Gopalaswami also presented some interesting statistics from the last two General elections that triggered an insightful discussion. N. Gopalaswami is a former Chief Election Commissioner of India (CEC) who has been awarded the Padma Bhushan in 2015. He is a 1966 batch Indian Administrative Services officer belonging to Gujarat cadre. He took over the charge of CEC on 30 June 2006 and retired in April 2009. Gopalaswamy is a gold medallist post-graduate in Chemistry from Delhi University and is a diploma holder in Urban Development Planning from University of London.